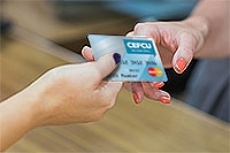 Open a new CEFCU Mastercard Credit Card between January 1 and May 31, 2019 , and make five or more purchases totaling $500 or more within 90 days of the account open date** to receive $50 (for non-Rewards cards) or extra bonus rewards points for 90 days (for Rewards and World credit cards). The Nicest Card You'll Ever Carry® delivers benefits like fuel rewards, travel perks, mobile payments, and so much more. Visit the Credit Card page to learn more. *The term “account(s) opened” means the date that the account is entered on our credit card system, which typically is one to two business days after we receive your signed application. **For Rewards and World: Receive double points (Rewards) or an additional point (World) for all total net sales transactions through merchants (less any return balances) within 90 days of the date the account opened (after 90 days you will earn 1 point per $1 in net purchases, as defined in the Rewards Guide you receive after account opening) OR for non-Rewards: make five or more purchases totaling $500 or more in total net sales transactions through merchants (less any return balances) within 90 days of the date the account opened to receive $50. Cash advances, balance transfers, and other select transactions are not included. Qualifying transactions must post to your Credit Card account within 90 days of the date the account opened. Cash back or points will be awarded via statement credit within 180 days of the date the account opened provided accounts are still open and in good standing as of the offer fulfillment date. 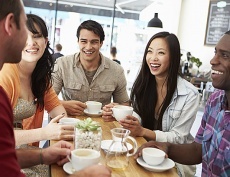 Limit one offer per member; not valid for existing CEFCU Credit Card accountholders. †Intro APRs of 1.99% to 11.49% on Purchases and Balance Transfers will be assigned based on the individual applicant’s creditworthiness. After the introductory period ends, a variable APR of 10.75% to 20.25% (non-Rewards) or 11.75% to 21.25% (Rewards and World) on Purchases and Balance Transfers will apply, depending on your creditworthiness. These APRs were in effect as of 4/1/19 , and are subject to change quarterly with the national “Prime” rate. Contact CEFCU for full details. You must be a CEFCU member in good standing. Intro APR will apply on Purchases for 6 months from the date the account opened. Intro APR will apply on Balance Transfers for 6 months from the date of the Balance Transfer, for Transfers completed during the first 90 days after the account opened. Each Balance Transfer posted during the introductory period will retain the introductory APR for 6 months from the posting date. The total amount of Balance Transfers and the outstanding balance on your account, including fees and interest charges, cannot exceed your available credit limit. See the Disclosures and Terms & Conditions, which will be provided at the time of application, for more details. You will lose your grace period on Purchases i.e., interest will be charged on Purchases made on your account unless you pay your entire statement balance, in full, including any introductory Balance Transfers posted to your account, by the payment due date each month. 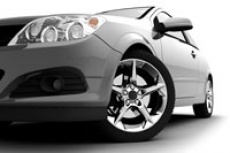 We may end your introductory APRs and apply the Penalty APR if you make a late payment.